Split-Bottom-Mount yoyo trick how to video. Now, the Split Bottom Mount is a really nice mount to learn because it is the foundation for a lot of really iconic tricks. If you want to really build a diverse set of tricks, this is a really good place to start. It is also the foundation for our Frontstyle Speed Combo Tutorial series. That is a good series to watch if you are interested in making up your own combos where we teach you really small elements and how to put them together into larger tricks. But it also starts with the Split Bottom Mount. So, in this video, I am going to teach you several ways to get into the Split Bottom Mount so that you have a little bit more diversity when you are learning these different tricks. So, the first way to get into it is actually based on your Front Mount, and sometimes this is also called the Bottom Mount. 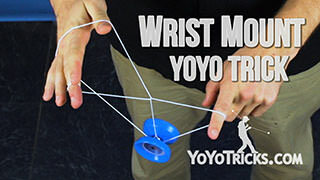 All you want to do with this is once you get into your front mount, you just want to insert your first finger from your yoyo hand in between these two strings. You are going to rock the yoyo back a little bit and as the yoyo is as far back as it is going to get, you just bring your yoyo hand right under the yoyo and you can see that puts you right into the Split Bottom Mount. I think that is actually where the Split Bottom Mount gets its name, because you have got a Bottom Mount and you are just kind of splitting it. So, with this, it is a pretty simple way to get into it as long as you swing the yoyo back and you have got the right timing. Most of the time, this will work. 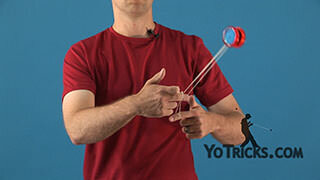 The one thing that you can do to help yourself out a little bit is make sure that your yoyo finger is extended. 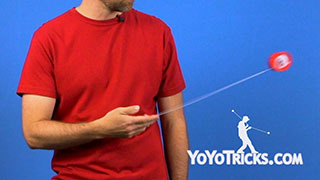 There might be a tendency to want to curl your yoyo finger in and if you do that, there is a decent chance that you are going to miss the string. So, it is just a little bit easier to keep that yoyo finger extended, swing the yoyo back, and just roll right under the yoyo. That will get you into the Split Bottom Mount. Now, the second way to get into it is the way I showed you at the beginning of this video. That is just to throw right into the Split Bottom Mount. This way, it can be a little bit tricky to get it down at first, like a lot of mounts, so I am going to give you a couple of tips. The first thing that you want to do is get a good throw. Then you are going to take your opposite hand and position it between the string and your body. Then just lift the string up. 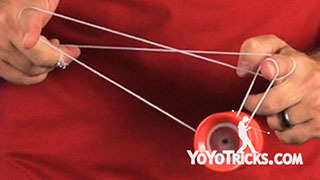 But unlike the Front Mount where you set the yoyo right on the string, instead you are going to position your yoyo hand just above the yoyo. 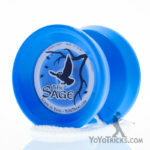 Then you are going to swing the yoyo a little bit. 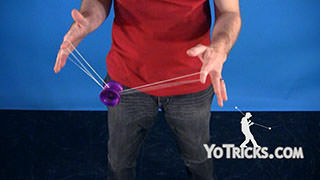 Again, as it is swinging toward you, you are just going to pull straight up with your opposite hand and that will accelerate the yoyo right over your finger into the mount. Now, one thing that can happen with this mount is the same as what can happen with other mounts. 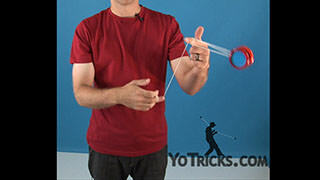 If you just continue to pull up, the yoyo will run into your finger. 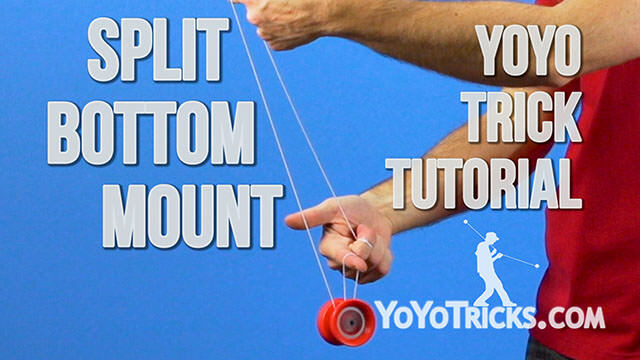 So after the yoyo goes over your first finger on your yoyo hand you are going to want to bring your hands together just a little bit to cushion the yoyo in the mount. When you are doing this, you may find that you are the missing string a little bit. So, most likely that means that you are not pulling your hand straight up. 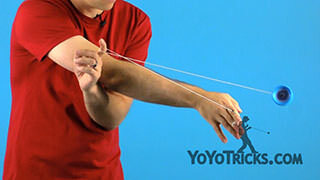 So if you are missing and the yoyo is missing the string to the right, or, if you are accidentally hitting the string coming off of your yoyo finger or even both strings, that could mean that you are pulling your hand off too far to the left. 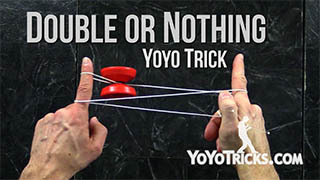 Of course, the same thing is true if the yoyo is missing to the left, it means that you are pulling your top hand too far up to the right. 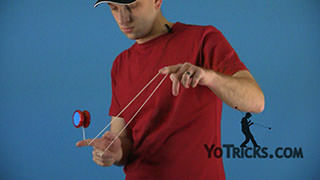 Now, of course this all assumes that you are keeping your yoyo hand still, which you definitely want to do. You only want to be moving your opposite hand straight up and straight down if you want to hit the mount. 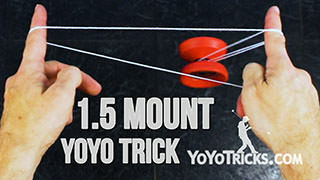 Now, another thing I have not mentioned yet is that you want to make sure to bend your yoyo finger in as you attempt this mount because that will give you enough separation between these strings. If you do not do that, you will almost always land on both strings. So again, just keep that finger in, pull straight up, and you will have a lot more success. 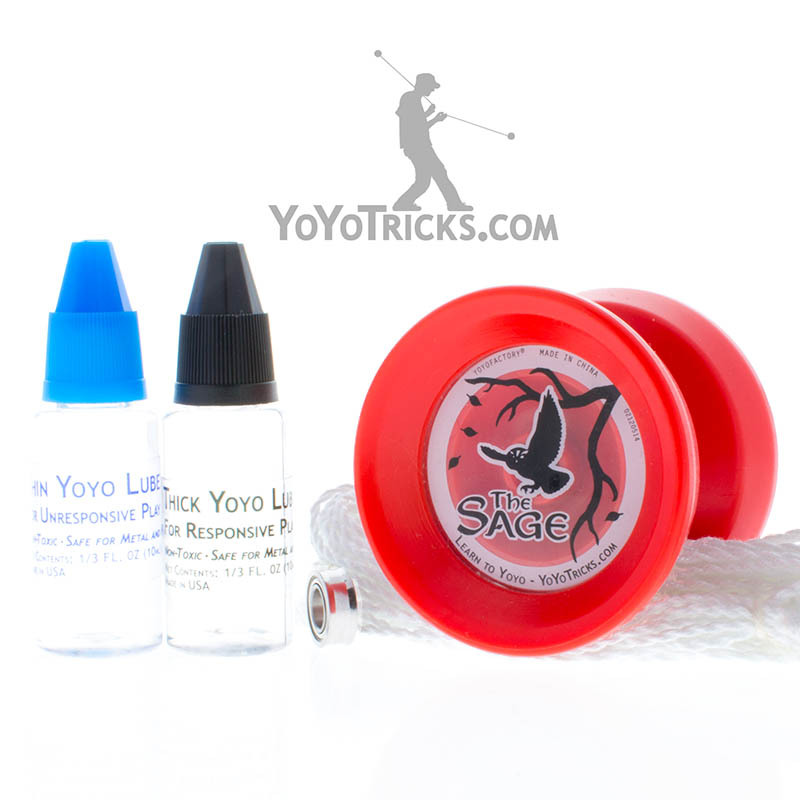 Now, once you have gotten this down by just swinging the yoyo up into the mount, of course when you get better at it, you want to go into it right off of the throw. 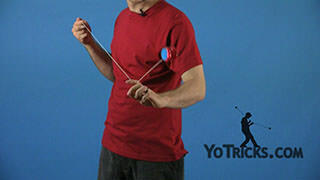 And a good way to start practicing this si to slow your throw down a little bit and maybe even throw the yoyo in front of you a little bit. That way, it will swing and that will give your more time to react and get it into the mount. As you practice that more and more, you are going to get better and better at it so that you can just do a normal throw and go right into the mount. Now, once you have got that down, you can add a little bit of flare before you get into the mount. 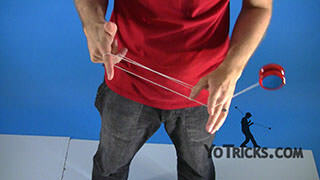 One way that you can do that is you can actually take your opposite hand, turn it over so that your thumb is in front, and you are not exactly going to pinch the string, you are just going to use it to control where the string is. 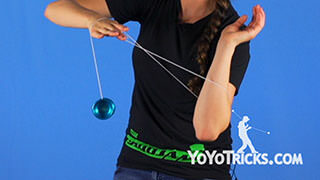 Then you are going to pull down with your yoyo hand and swing the yoyo right over your opposite hand. You can see that builds some momentum to get the yoyo into the mount. That can be a little bit tricky, just getting used to how that momentum works. But you know, with a couple of tries you will get that down. Another thing that you can do is you can use this to go into some Pinwheels. 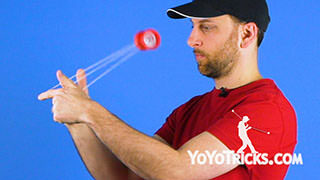 Make sure you move your bottom hand out of the way so the yoyo does not hit it. Then you can use the momentum from the pinwheel to get into the mount as well. Again, all you want to do to achieve the pinwheel is just pull the yoyo up and then pinch the string when it gets to the top. Then release the string so that you can go down into the mount. Now, another way that is even a little bit more flashy than this is to, basically it looks like you are going to go into a Front Mount, but you pull up and to the side, so that you miss the string. Then you bend your finger in to release the string and that will allow you to get into the mount. So that looks like this. You can see that it is a really smooth way to get into it. I have already give you most of the tips for this one. 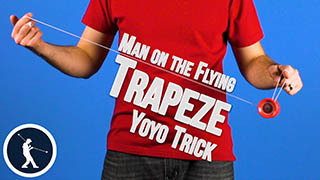 Again, it is just like the pull that you would do from a front mount, except you are going to pull off to the side so that the yoyo will miss. You will see that will get a little bit of a wrap around your finger. So you are going to want to bend your finger in so that the string can unwrap. Usually when I do that, at the beginning you can pinch the string so that the string does not completely fall off of your finger. But the better you get at it, you will find that there is a certain flow where you can just kind of bend your finger in a little bit. 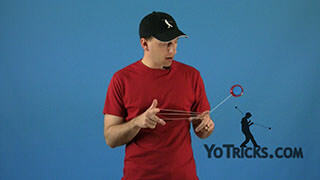 The string will naturally move around it and then you can use that momentum to get right into the mount. Now, there is one other mount that you can do based on the same concept. This one is a little bit harder. 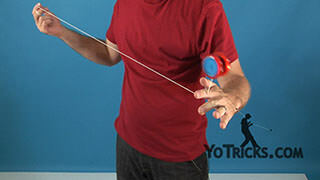 This one, when you miss the front mount, what you are going to do is you are actually going to try to get the yoyo to shoot straight up and then while it is up in the air you are going to hook the string with the first finger on your yoyo hand and fall down into a Split Bottom Mount. To get it into a true Split Bottom Mount, you are going to have to rotate your hands. You can see that this is just a normal Split Bottom Mount. Again, you want to make sure that you practice this one after you have fully mastered this trick because it is pretty much the same but a few different things are happening. 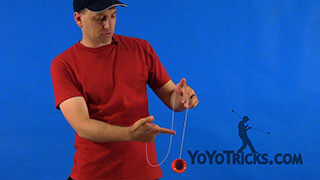 So for this one again, what you are going to do is instead of just shooting the yoyo forward, you are going to pull straight up, so that the yoyo goes right up in the air and while the yoyo is up in the air, you are actually going to have to move past the string with your yoyo hand and then pull the string that is up in the air back toward you. Then you are going to have to land it on that inside string so that it lands in the mount. And once you have got it here, again, all you are going to do is you are going to rotate your hands kind of a half turn, and that will get it back into your Split Bottom Mount. That one is a lot more tricky, but if you are having a good time learning all these different Split Bottom Mounts, that one is a good challenge and once you have got it down, it looks super impressive. So like I said, the Split Bottom Mount is the foundation for a lot of really exciting tricks and you can even make the mount itself look very impressive if you work at it. So that is the Split Bottom Mount.